Some lovers have bad ideas. Some lovers are bad ideas. Mercenary Captain Belisare doesn't trust the magic in her veins. She's seen magic do too many horrible things for that. Her fickle lover, Gio, can't accept her not using her power. When the crew questions her attack plan for their next job, Gio has the answer. Magic will make everything about the plan easier, if he can just convince her of it. Even in the afterglow of his seductive reasoning, Belisare refuses to rehash the old argument. She's out of options and faced with disbanding a crew that's become her family. When her suppressed magic slips its leash in the night and ensares the camp, it's up to Gio to bring her back to herself. But after this latest argument, is their connection strong enough, or will the magic he wanted her to use tear them apart for good? 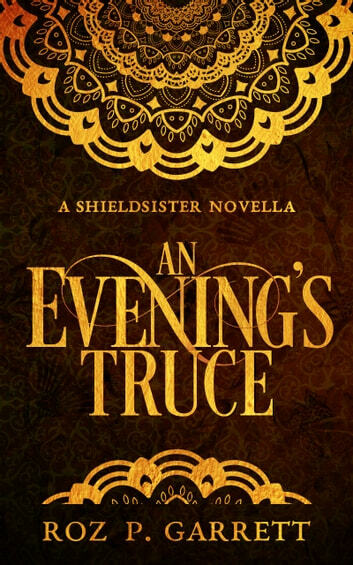 The first installment of the Shieldsister fantasy romance series, An Evening's Truce is appropriate for fans of KUSHIEL'S DART and OGLAF. This romance is certainly NSFW. This short story is a fantastic start to what is sure to be an epic series. I am already in love with the main character. She is going to be a force to reckon with. 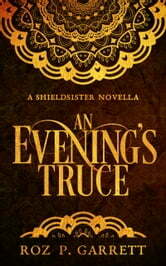 I cannot wait to read the first book and delve into this new fantastic world that the author has created. It's going to be one hot and steamy adventure ride! !